After trying out the Trilogy Rosehip Oil previously, I have always been a fan of this organic brand for its beautiful, cruelty-free products that actually do what they claim to. 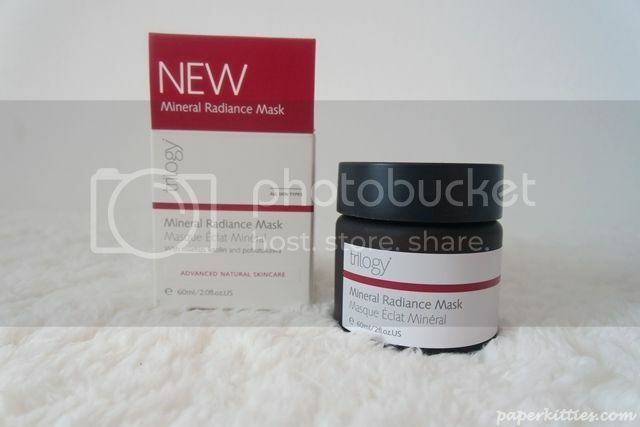 Today’s review on Trilogy Mineral Radiance Mask will definitely not disappoint. It is basically a mineral-rich kaolin clay delivers instant radiance with a deep cleansing action. With ingredients such as the native New Zealand pohutukawa extract helps tone and regenerate while emollient oils rosehip and evening primrose to nourish and hydrate, I know my skin was in for a treat. Unlike regular clay mask, this rich and creamy clay is enough to draw out impurities but doesn’t dries out on the skin. Definitely one of the mildest clay masks I have owned so far. Despite leaving it for more than 15 minutes, the mask only dries slightly but not so much that you can’t move your face; skin was left feeling really clean and glowy! This totally came in handy as I was starting to run low on all my acne-care products. 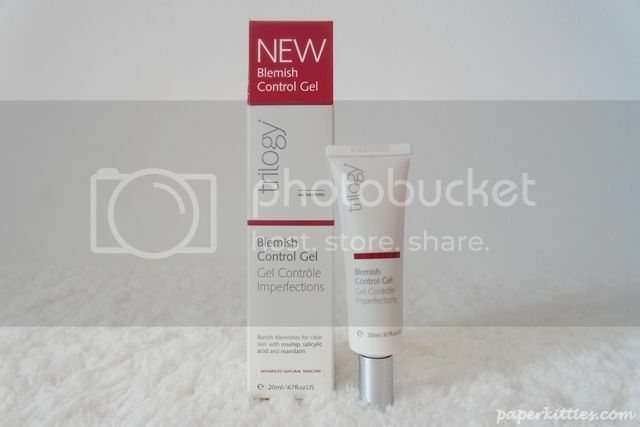 The Trilogy Blemish Control Gel has ingredients such as salicylic acid to effectively target and decongest pimples. Not to mention, antibacterial lemongrass and mandarin to help control breakouts, ginger reduces inflammation and rosehip aids repair. Yes if you haven’t realize, Trilogy is all about its certified organic rosehip oil – a truly remarkable natural product for most skin problems. It being a gel texture also comes as a bonus as it means that the product is pretty lightweight and will not clog my already congested pores. However, it may come as a surprise that the Trilogy Blemish Control Gel was actually more effective and stronger in treating the acne than I have expected.. when applied, there was a bit of a sting on the pimples, especially those with open heads, which gives me a confidence boost that the product is working its magic and allowing the pesky red dots to dry up quickly. Do take note to not be too generous with applying it as it may dry out your surrounding skin area resulting in flaky skin ya? Next Post Bellabox Feb 2015: Fresh Beginnings!